NO SOLO ANGLERS: You must have a fishing partner for safety. Submit everything auto-cull will be working. If one angler Skunks he or she must submit a Proof of Life photo showing them in their kayak on the water. 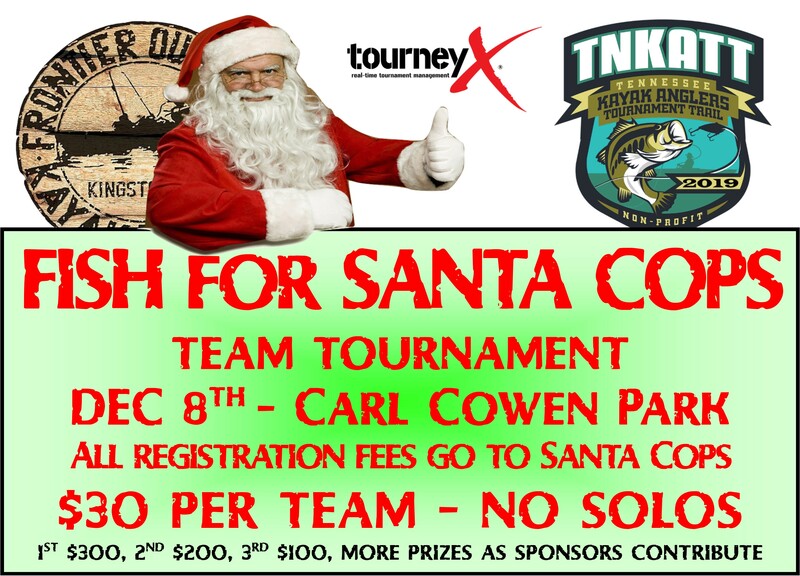 All registration fees (100%) will be donated to SANTA COPS' Toys for Children in area hospitals. $50 GIFT CARD TO BEST SANTA OUTFIT. More cash and prizes for other places as sponsors donate more.